If you haven't heard of elf on the shelf, where have you been? The craze started in America but has definitely captured the imagination of UK parents and after reading some of the Christmas chat on parenting forums I think this year will be bigger than ever. Our elf (Zac) arrives on December 1st. The idea is that he keep's an eye on the children and reports back to Santa to let him know how they have behaved. Now our elf has a tendency to get up to mischief through the night when the children are sleeping. Last year we caught him hitching a ride with barbie in her car, swinging from our light's and being held captive by daleks! Read more about our elf and meet him in this introductory post written last year. The children aren't the only one's who are being watched - they need to report back to Santa about their elf's behaviour too. The quality of this stationery is very good. High quality paper and card have been used. I just love the graphics and font, everything feels and looks very professional and I certainly could not re-create this myself at home. I can't wait to have lots of fun with this throughout December. My plan for the reward chart is that the children must do one kind thing every day and they'll get a star. 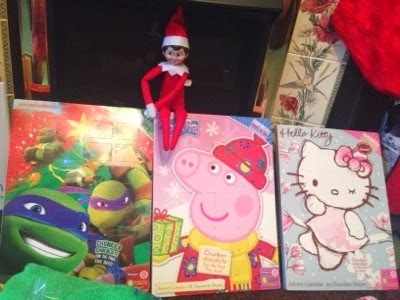 I plan for our elf to bring the 'well done' cards half way through December during our 'North Pole breakfast' (look out for a future blog) and we will choose various times throughout the month to send an 'elf report' back to Santa and let him know how Zac is behaving. A great incentive to get the kids to practice their writing skills! I simply can't wait for December to arrive now so we can get started! 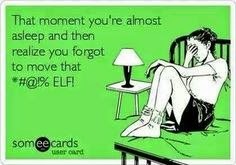 You can order an elf re-fill kit for £8.50 (plus £1.50 postage) by messaging Elves Incorporated on facebook. Denise is super friendly and happy to answer any questions or queries you may have. 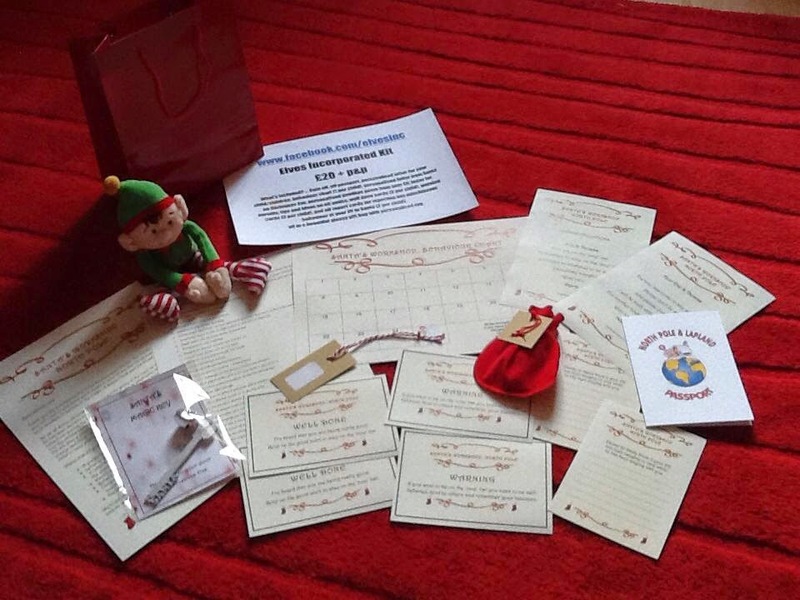 While you are there check out their full elf kits which also include an elf and an elf passport. These are priced at £20 (plus £5.65 postage). If you are local to Durham, collection is free. Thank you so much to Elves Incorporated who provided a re-fill kit for the purpose of this review. Look out for our elf on the shelf post's throughout December to see our kit being put to good use.